The Dream Angels Fantasy Bras Revealed By Victoria’s Secret. 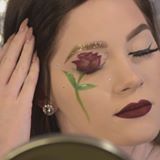 This Beauty and the Beast inspired makeup is ENCHANTING! Japan’s first fashion show for Muslim women lit up Tokyo. Beautiful Model Amber In A Perfect Shoot Location.